The General Services Department of the City of Laurinburg consists of the following services: Public Works Administration, Building Maintenance, Fleet Maintenance, Fueling Facility and Solid Waste. This department is also responsible for the disposal of surplus City property and for providing technical assistance in purchasing, construction, and service contracts to all City departments. The department is managed by the General Services Director. The General Services employees are located at the Public Works Facility. Public Works Administration is a division of the General Services Department. This division provides administrative support to all the divisions located at the Public Works facility including: General Services, Public Utilities, Information Technology and Electrical Services. This division is managed by the General Services Director. The City of Laurinburg Garage is responsible for the maintenance and repair of approximately 484 pieces of vehicles and equipment. This includes 149 cars and trucks and 335 pieces of “off-road” equipment, such as tractors and lawnmowers. 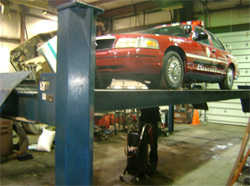 All service records for vehicles and equipment are maintained by the Garage. The Garage has 6 full-time employees, which consists of an Equipment Services Supervisor, Equipment Mechanic II (2), Equipment Mechanic I (2), and a Fleet Parts & Service Specialist. The Garage also assists in the maintenance of the joint City/County Fueling Facility. For more information, call Public Works at 276-2364. The City of Laurinburg Sanitation Department, utilizing 15 full time employees and 4 part time employees, offers the following services to 5,650 residential customers: once per week curbside garbage collection utilizing 95 gallon roll-out containers furnished by the City; and every other week curbside co-mingled recycling collection of newspaper; aluminum cans; steel cans; all plastics (#1 – #7 on bottom); magazines; mixed paper; computer paper; corrugated cardboard; clean, brown and green glass bottles; used oil (secured in a plastic bottle with a tight cap). We also provide once per week bulky item collection and once per week yard waste collection as often as possible. Cardboard will be collected every other week along with other recyclables, and used tires will be collected every week along with bulky items. For further information, please see our Solid Waste Policy. The fee for this service is $26.50 per month. In addition the department provides commercial dumpster collection to 290 customers utilizing 364 dumpsters in sizes 4, 6 and 8 cu. Yd. furnished by the customer. The fee for this service varies depending on the number and size of dumpster and the number of collections made per week. For more information, please call 276-2364. The City of Laurinburg collects residential curbside recyclable materials on a bi-weekly collection schedule. Each residence is assigned to either the GREEN or RED recycling route. This determines which week recyclables are collected according to the Bi-Weekly Recycling Schedule 2018 – 2019. The recyclables are collected on the same day of the week as garbage. For example, if garbage collection day is on Monday, then recyclables collection will be every other Monday. Newspaper; aluminum cans; steel cans; all plastics #1 – #7 on bottom (does not include Styrofoam); magazines; mixed paper; computer paper; corrugated cardboard; clear, brown and green glass bottles; used oil (secured in a plastic bottle with a tight cap and placed beside the recycle cart on the ground). For more information, please call Public Works at 276-2364. Corrugated cardboard is collected every other week along with your recyclables. Please flatten your cardboard boxes and place inside or next to your recycling bin on your scheduled recycling collection day. Bulky items are collected weekly on the same day of the week as household garbage. Please place your bulky items at the curb on the same day that you place your roll-out card at the curb for collection. Bulky items include all large trash items that cannot fit in your cart, such as furniture, white goods (appliances), television sets, electronics, large toys such as bicycles and swing sets, lawn equipment and used tires. The City does not collect building materials resulting from construction, demolition, remodeling or repair work. Bulky items may not be placed at the street for more than 24 hours prior to your scheduled collection day. Yard Waste is collected as often as possible with a goal of one pickup per week. It is not assigned to any particular day as the trucks get as far as they can each day. Please separate all yard waste into two separate piles, one containing limbs, shrubbery clippings, and/or pine cones, and the other containing leaves and/or grass clippings. Debris from tree removal will not be picked up without additional fees. Diabetic or other medical needles should be placed in a hard plastic container with a secured lid. Once they are in a secured container, they can be placed in your green roll out garbage cart. Fluorescent light bulbs can be placed in the green roll out cart for the regular garbage pick-up. 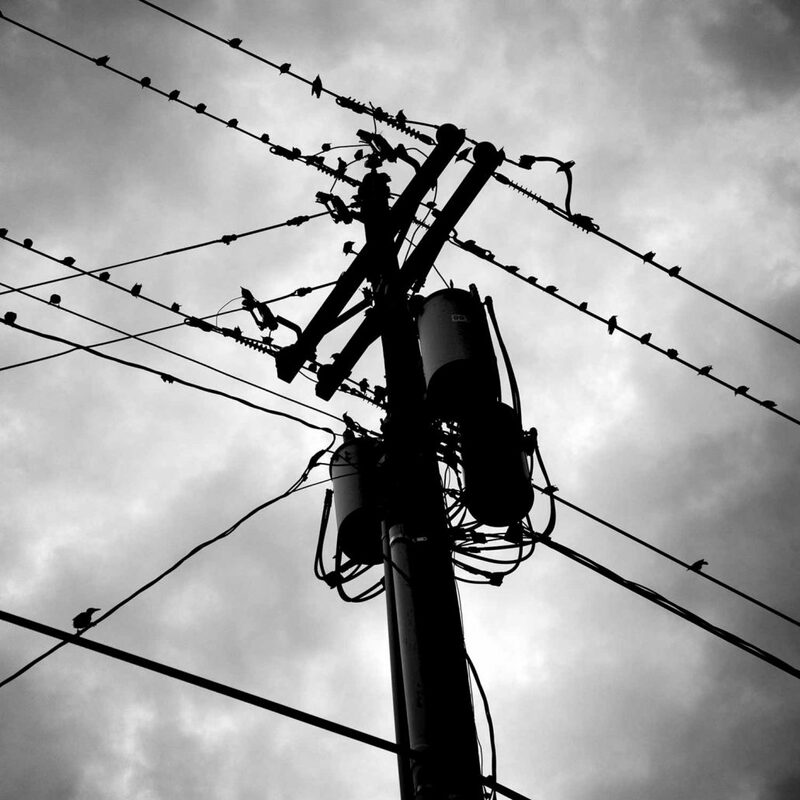 The City of Laurinburg operates its own electric distribution system consisting of over 72 miles of power lines. The City has been in the electric business for over 80 years providing reliable service to 5,630 customers who are offered a range of services from credits for load management to rebates for water heaters and heat pumps and Time-of-Use electric rates. The service is provided by a crew of 9 employees who perform line and switching station maintenance, SCADA operation and metering functions. The crews also maintain the City’s Fiber Optic system which provides network and internet services to other City departments and other customers throughout the City and County. Currently the fiber system consists of over 70 miles of fiber optic cable with associated electronics. The City of Laurinburg is a member of ElectriCities of North Carolina, the North Carolina Eastern Municipal Power Agency and North Carolina Association of Municipal Electric Systems. ElectriCities is a not-for-profit government service organization representing cities, towns and universities that own electric distribution systems. Today, ElectriCities represents more than 90 members in North Carolina (including Laurinburg), South Carolina and Virginia. Energy Depot is an online tool that helps customers use energy wisely. You can consider it your energy information “tool box”. Carefully-positioned trees can save up to 25% of a household’s heating and cooling costs. The U.S. Department of Energy says that only three trees planted strategically can save an average household $100 to $250 in energy costs per year. Deciduous trees (trees that lose their leaves in fall/winter) should be planted on the south and western sides of the house to shade during the summer while allowing light in during the winter. Evergreen trees and shrubs on the north and northwest sides can provide a windbreak. Also, shading your AC unit can make it run up to 10% more efficiently. Caulk and weather-strip leaky doors and windows. Insulated or storm windows also help reduce unwanted heat loss. Open drapes on the sunny side (usually south and west) of your house during the day. You’d be surprised how efficiently that sunlight will warm those rooms. Close drapes and shades at night. A portable heater may allow you to lower the temperature in the rest of the house, but it can also be expensive if used 24 hours. Limit use of portable heaters. Keep your central unit fan in the “auto” position. Leaving the fan “on” will force the fan to run 24 hours a day, adding as much as $15 a month to your heating costs. Keep your thermostat set at 78-80 degrees Fahrenheit. For every degree above 78, you’ll save 6 percent to 8 percent on your cooling costs. When you leave home, set the thermostat up a bit. Change dirty filters. They should be checked monthly. Inexpensive filters should be changed monthly. Be sure the outside unit and indoor return are free of debris. You may want to hose off your outside unit a couple of times a year. Make sure your home is properly insulated. We recommend the following types in your area: ceiling insulation R-30, walls R-11 to R-15, and floors R-19. Use a ceiling fan or portable fan along with your air conditioning. A fan can make you feel 4 degrees cooler and costs only a penny or so per hour to operate. It won’t cool an empty room, though, so turn it off when you leave. Use shades or curtains to block direct sunlight on the sunny side (usually south and west) of your home. Strategically-placed trees and bushes outside the sunny sides can also save you hundreds of dollars a year. Whenever practical, use your microwave or countertop appliances for cooking. They usually cost less to operate and they don’t heat the room the way a large oven does. Have a professional check your central unit once a year. A unit working improperly can force your bills higher, especially older units. For central air conditioning systems, set your thermostat fan switch to “auto”. Running the central AC fan 24 hours a day can add up to $15 to your bill and doesn’t cool any more effectively. The City of Laurinburg IT Department provides technical support to all of the City’s departments and infrastructures (Water and Waste Water Plants, Public Works, North and South Fire Stations, Electric Switching Station, Police Department, and City Hall). The City’s network consists of 100 plus computers, laptops, and servers, all connected by the City’s fiber optic network ring. The IT Department also provides online utility payment support, telephony support for the City’s Voice-Over-Internet-Protocol (VOIP), as well as day-to-day computer operations. The IT Department provides business strategies and solutions that introduce new technology that potentially improve present processes. For more information about our IT Department, contact Betty Galloway. 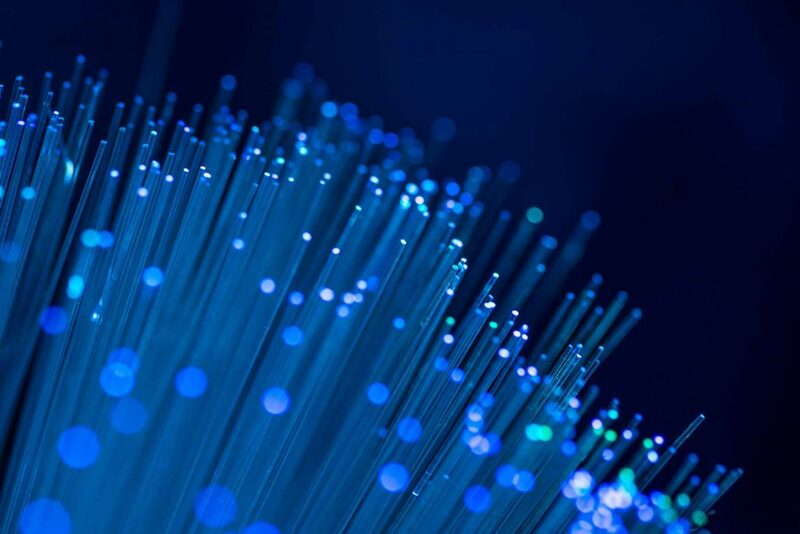 The City’s Fiber Optic offers fiber connection to a number of entities within the City and Scotland County area. The City’s Fiber Optic provides connections to the schools located within the City and throughout the County, Scotland County School Administration Offices, Scotland Memorial Hospital, Scotland County EMS, Scotland County Memorial Library, and Scotland County Administration Office. For more information about our Fiber Optic Connections, contact Jason Lighthall. The Public Utilities staff strives to provide customers of the City of Laurinburg with quality drinking water, sewer service that is dependable and environmentally acceptable, safe streets through cost effective maintenance, storm drainage maintenance and construction to minimize flooding. The staff normally handles calls on weekdays from 7 a.m. until 5 p.m. A crew is on call 24 hours a day 7 days a week. If an emergency occurs after hours call the 911 center. During severe weather such as ice storms or hurricanes, crews are on duty around-the-clock. The Street Department maintains approximately 87 miles of paved roads and approximately 9 miles of unpaved roads. We use our pavement condition study prepared in 2016 to identify City Streets in need of repair. The study rates streets in need of repair by a score and we resurface the streets in need of repair as funds are available. Our goal is to maintain streets in the most efficient way possible. The Street Department maintains the street signs, assists other departments with demolition of condemned structures, enforces the lot cutting ordinance by requiring property owners to keep lots at a minimum standard, and administers the mosquito program during the summer months, usually between April and September. We have a street sweeper that operates year-round. We concentrate on the main thoroughfares and all streets with curb and gutters. 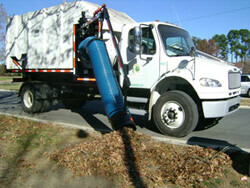 We run a route system and the time to complete the routes depends on the leaf and debris volume. 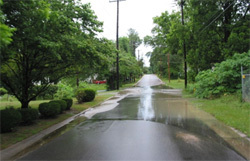 The Storm Drain department is responsible for maintenance and repair of the storm drainage system in the City limits of Laurinburg that connect to our city streets. This department routinely cleans the drainage system and removes any obstacles obstructing the flow of water. This department also makes structural improvements to insure that the system is able to and reasonably handle water flow. Residents are reminded to never dispose of leaves, grass clippings, oil, or trash in to the drainage system or in a location, such as a roadway or curb & gutter lines, where debris could be swept into the system by storm water. Such actions may result in serious flooding during the next storm. Unlike the water that goes down your drain to the sewer, water that flows into storm drains is not treated and filtered for pollutants. This contaminated water flows into canals, into streams and lakes, and then ends up in the ocean. Everything other than pure rain water is a potential contaminant that degrades water quality. It’s very important that you help prevent contaminants from flowing into storm drains and never pour anything into them. Intentionally pouring water and pollutants into street gutters and storm drains is dangerous to the environment and is also illegal. The determination of whether or not costs of extending water-sewer service are “reasonable” is in the sole discretion of the City Manager, subject to appeal to the City Council, which determination shall be final. The City’s Water Distribution Department constructs and maintains approximately 200 miles of City owned water distribution mains ranging in size from 2 inch to 20 inches. We also maintain approximately 153 miles of County owned water distribution mains ranging in size from 2 inches to 10 inches. 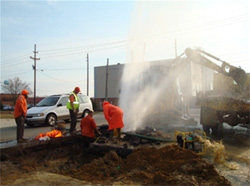 Water is transported under pressure through main distribution lines. Smaller pipes, called service lines, are attached to the main water lines to bring water from the distribution system to homes and businesses. The City maintains approximately 9,600 water taps ranging in size from ¾ inch to 12 inches. Backflow assemblies are required to isolate hazards from the public water supply. The City’s Sewage Collection Department constructs and maintains approximately 146 miles of sewer collection lines ranging in size from 2 inch force mains to 36 inch gravity mains. 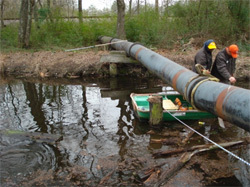 One of our main goals is to reduce Inflow & Infiltration (I&I). I & I is defined as excess water inflowing into sanitary sewers or infiltrating sewer lines. The City has an I & I program to reduce and/or eliminate Sanitary Sewer Overflows (SSOs). Excess water may come from too much rainfall infiltrating through the ground, leaking manholes, or illegal connections such as roof drains. Sewer lines can also be infiltrated by growing tree roots. I&I is a major cause of SSOs which is an environmental and health issue. The City’s Sewage Collection Department has a sewer camera system and video recording equipment to record leaky joints, breaks in pipes, etc. We are in the process of applying for grants to help rehab some of the system in need of repair. Replacing and rehabilitating these lines and manholes reduces I & I into the sanitary sewer system, thereby protecting the public health, improving wastewater treatment plant efficiency and reducing system maintenance. The City of Laurinburg has an ordinance to reduce grease in the sewer mains that cause blockages and overflows. The City of Laurinburg’s Fats, Oils, and Greases Ordinance requires that food service facilities install and maintain grease traps and /or interceptors to prevent grease from entering the sewer system. The City of Laurinburg encourages its residents to reduce the amount of fats, oils and grease that enters the system because there are more residential kitchens than there are restaurants. For more information on Fats, Oils and Grease please click here.